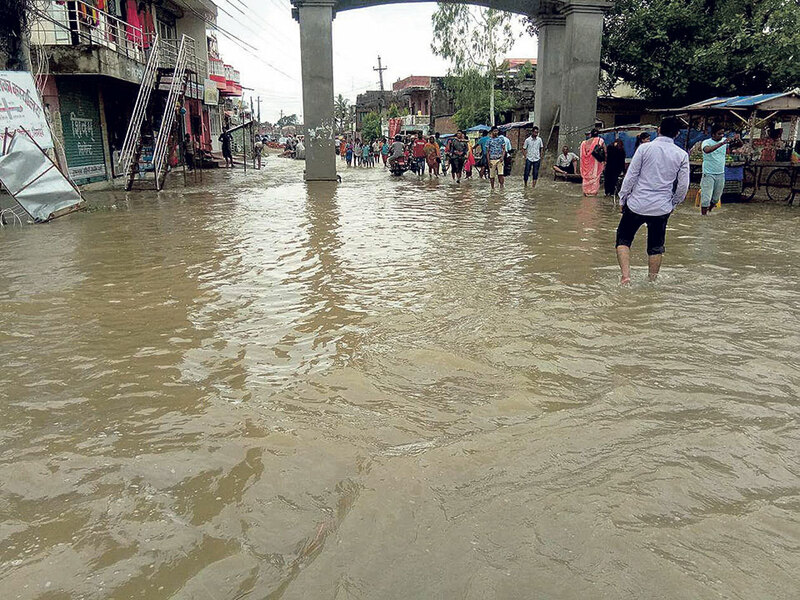 RAUTAHAT, July 1: With the start of monsoon, locals of dozens of villages prone to floods in Rautahat are in a state of constant fear. 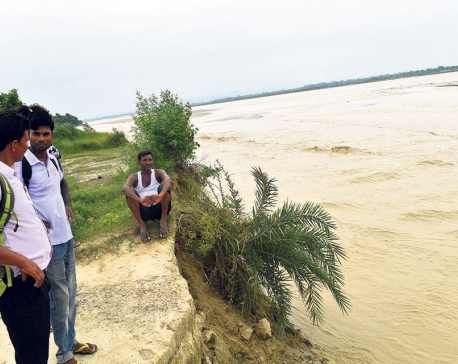 As more than two dozen places from where the Bagmati and Lalbakaiya rivers breached their embankments are yet to be repaired, the locals are now panicked that the massive floods like last year will repeat this year also. On August 11 last year, floods had broke out from 31 spots along the rivers. A red alert from the Meteorological Forecasting Division informing high probability of rainfall in the district has only elevated the fear of loss of lives and properties among the locals. 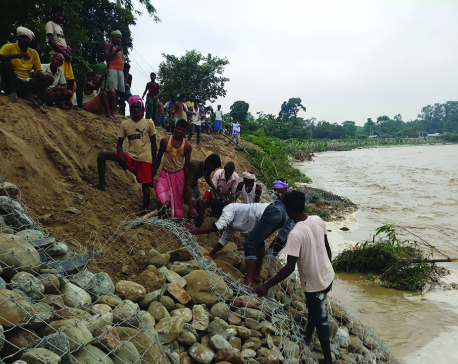 According to the locals, dozens of villages as well as Gaur Municipality are under high risk of flooding as the embankment near Gadhimai Municipality is yet to be repaired. A local, Rabindra Sahani, complained about the repair works which are yet to be completed even though the monsoon has already started. According to Sahani, most of the spots are being repaired in a shoddy manner. Most of the one-story houses in Gaur were engulfed by floodwaters last year. Some were completely submerged in water. As the damaged embankment of Tikuliya River near Gaur has not been completely repaired, locals of Gaur fear that the municipality will be flooded this year too. Shambhu Singh of Brahmapuri expressed his fear that the haphazard constructions going on in the district in the name of development is hampering the repairing of embankments and will result in an even bigger flooding. “If a flood takes place this year, there will be more loss than last year,” Singh said. According to chief of Water Induced Disaster and River Management Division, Parwanipur, Raj Kumar Srivastav, the division had asked the concerned authorities to start the repair of the 31 spots along the embankment affected by flood last year but the works could not be carried out due to insufficient budget. Last year’s flood claimed 17 lives in total in the district. Thousands of houses were destroyed. There is fear amongst the locals that a flood larger than that of the previous year is going to strike this year.